When I asked at the Mairie for ‘billets de lodgement’ they went off their heads for joy, and before I could look round they had put my men into billets – everyone got a bed. I had a splendid room with real linen sheets (hidden while the Boche was in possession) and we messed in a large dining room, beautifully furnished. The people insisted on doing all the cooking and our servants had the time of their lives. By a strange coincidence, on the same day Lieut. Jack Gamlen (OBLI) wrote to us of meeting Capt. Leslie Grundy (late of York & Lancaster Reg., now with 90th Machine Gun Corps), Leslie also wrote to us of an incident that had occurred the previous evening, when he was sitting in a small cellar of a largely demolished house. 25.11.16 “I heard the swish of a shell and heard a loud detonation. I went up the cellar steps to ask how far off it had fallen and was told that it had fallen about 200 yards away and that only a few splinters had come our way. I had got to the top step of the cellar when I found a man in my way at the top. I had just touched him and was going to tell him to move aside when we all heard a shell coming. We all ducked instinctively, the man on the top step falling on me. I had lost my balance, but before my feet had left the step I was on, there was a brilliant flash and a terrific explosion. I scrambled out from under the fellow who was on top of me and found myself at the bottom of the steps with the place full of dust. There were some cries coming from above. I lit a candle and found that the centre part of the roof of the cellar had fallen in and had smashed the table, but had missed the officer and the two servants who were in there and that they were only a bit dazed. I then went up above and found men lying all over the place. I flashed my torch around and saw that five were obviously dead and that about six more were lying about groaning. Another man and myself got the two worst cases into the cellar and started bandaging them up. The shelling stopped and we went up to count the damage. Right on top of the cellar was a huge crater, 6 ft. across and going right through the 3 ft. of bricks on top of the roof. It was not 6 ft. from where my head had been. Two small beams had apparently saved me. They were riddled with splinters, but apparently the force of the shell had gone in another direction. Five men were lying round the entrance dead. Three of them were in my company and two belonged to the other company. One of my best sergeants and two of my best men. The two others were guides. We took the personal effects of the five to send to their homes and put them in a shell hole not far away. We buried them this morning. The three horses are still lying across the road. Two of my wounded have since died in the dressing station. In all I lost about ten men killed and wounded, and the other company about seven. Certainly, such details are not to be found in our newspapers or, from what Jack Gamlen told us, Brigade Intelligence Reports either. Whilst we have learnt much from the newspapers about the ‘Big Push’ on the Somme, it is not the same as hearing from someone in the thick of things. Capt. 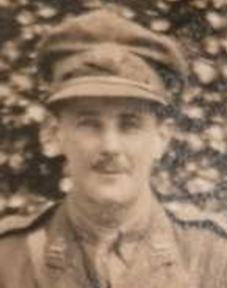 Leslie Grundy (late of York & Lancaster Regiment, now serving with 90th Machine Gun Company) has found the time to provide us with a first-hand account of the events of July 1st. He was involved in the attack on Montauban at the southern end of the battlefield. (Here the preliminary bombardment was clearly more effective than further north and casualties considerably fewer). 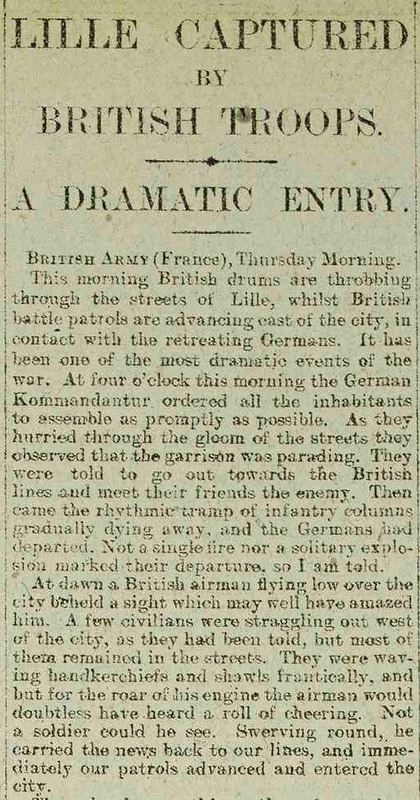 “We had done all the practising for the last fortnight and were now waiting in the assembly trenches. For us, these consisted of a few small trenches cut in a hollow between two woods about 700 yards behind our front line. We had arrived in these trenches late the night before, and had passed a very cold night indeed. Consequently we were all awake when dawn broke. The guns had been keeping up a pretty heavy bombardment throughout the night, increasing in intensity every minute. The fringe of the wood behind us (curiously enough called ‘Oxford Copse’) was lined with 18-pounders, who were firing over our heads. As they were only 150 yards away, the noise was deafening. Although we had not been given the time for ‘Zero,’ we judged it was near enough for us to issue the rum, so an issue of two jars among 150 men was made at 5 o’clock. We got word from Brigade Headquarters that Zero was to be at 7.30. 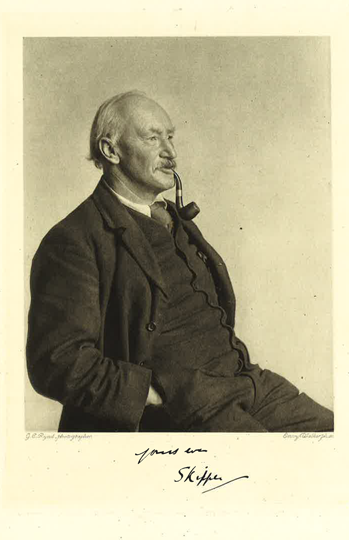 At 8.30 I went forward with my servant, and the two other sections followed 50 yards behind, interval 100 yards, but owing to the weight of our loads we fell behind our appointed place and found ourselves mixed up with some engineers. This ground was made up later on, while waiting for our artillery to lift. When about 100 yards off our original front line, we saw that the enemy was putting up a barrage in No-man’s-land and a lot of our infantry were knocked out going through. When we got right up to this barrage we made a dash and, as far as I could make out, lost very few men. One of the section officers, however, was wounded rather badly in the back. We found the Boche wire, when we got up to it, had been blown to pieces by our artillery fire and the trenches themselves had suffered so terribly that it was difficult to tell in what direction they ran. I had my first rest here; it was a hot day, and the packs were beginning to tell on us. As it looked as if the Boches were shortening their range, we thought it best not to make too long a stay at this spot and therefore pushed on as far as the Glatz Redoubt. In a few minutes No. 2 section came up; so far they had only lost three men. At this point a party of about 30 Boche prisoners were marched past; all of them apparently in great fear of their lives! They had all, seemingly, been very much shaken by our bombardment, and in the trench we were occupying there were many of them lying badly wounded. After a few minutes we mounted our guns and opened fire on the Boches to the left of Montauban, as the Brigade there did not seem to have attained its objective. All this time our heavy artillery had been keeping up an intense bombardment on Montauban, and we could see our infantry waiting in the open in long line, ready to go in when the artillery fire lifted. Later there seemed to be some slackening of the fire and our troops immediately went forward. The whole thing was done as if on parade. They went over at a steady walk, keeping their dressing all the time. 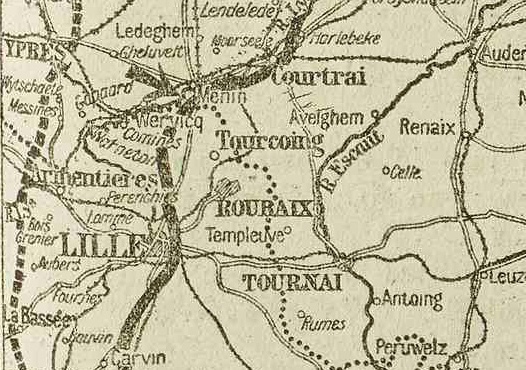 As far as we could see, there was no hostile rifle fire from Montauban at all and, as yet, no shell fire was falling on them. Just before dusk there seemed to be a small attack, but it was easily dispersed by rifle and machine-gun fire. All that night we fired at all small parties of Boches who could be plainly seen, and as it grew light we heard the sound of bombs exploding and found the Boches were bombing Montauban Alley from the other end. About 7 o’clock the bursting bombs seemed to be very close to one another and… about 30 of our men jumped out of the trench and started to retire towards us in Montauban. Immediately on seeing this, the Boches jumped out of their trenches and started firing on them. We turned two machine-guns on the Boches and wiped the party completely out, but not before they had accounted for all our men. After this, the attack seemed to fizzle out. Several Boche snipers however, had managed to get into position in the diagonal trench leading from Montauban Alley to Montauban. They managed to cover all the exits from C Keep and they got a number of our walking wounded, who were trying to get back. That evening Leslie and his men were relieved and here at least undoubted success was achieved.